City’s Captain Tilmann Gabriel comments on the pilot of the future and computerised cockpits. Given the large-scale future growth of the global airline industry, will there be a matching supply of trained aircraft pilots? What will be the future of pilot training? These are some of the questions posed earlier this month by Captain Tilmann Gabriel, the director of City's MSc Air Transport/Aircraft Maintenance Management programmes, while he was a featured speaker at the 2015 Hamburg Aviation Conference. He has also held recent discussions with the UK Civil Aviation Authority about a collaboration between City and the CAA regarding the development of future aviators and their cockpit environment. Aircraft manufacturer Airbus projects that air traffic will grow at 4.7 percent annually, requiring over thirty thousand new passenger aircraft and freighters at a value of £2.9 trillion in the next 20 years. 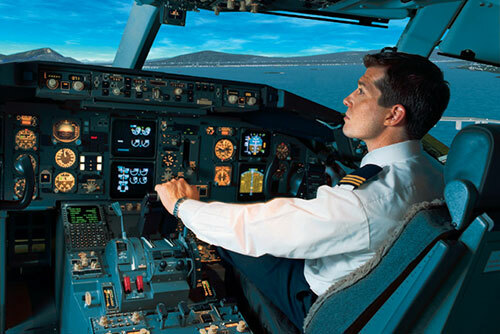 Boeing has similar expectations, which would in turn require 500,000 new professional pilots. Against this backdrop, Captain Gabriel is concerned about the readiness of sufficient quantities of young candidates for pilot training in an aviation industry requiring a substantial volume of aircraft, with each cockpit featuring highly advanced avionics: "We really need to be paying attention to a digitally savvy, millennial generation who are accustomed to creative interaction with gadgets and smartphones who will need to adapt to a cockpit requiring them to constantly observe vital digitally displayed information, which they will not be interacting with in the same way. Perhaps the time has come to build gamification into pilot training and daily cockpit work." 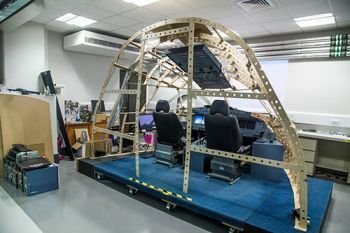 Given the challenge offered by a 'glass cockpit', Captain Gabriel believes that the aviation industry runs the risk of losing out on future generations of young people who may not find aviation challenging enough as a profession. Captain Gabriel, a former Executive at Qatar Airways, British Airways and Lufthansa, is hopeful, however, that the ongoing collaboration between human-computer interaction design specialists and avionic engineers, "demonstrates the need to integrate the human aspects of the pilot's cockpit interactions with the technology built into the aircraft operating envelope". Captain Gabriel's recent comments on aviation were also recently featured in German newspapers Die Welt, Berliner Morgenpost and Hamburger Abendblatt. Avionics are the electronic systems used on aircraft, specifically in the cockpit.